Instagram is a great social networking app that has provided the platform to share photos and videos with our friends and followers. It has proved to be a great means to promote businesses also. Not just photographers but bloggers, writers, stylist, designers, and artists are also utilizing Instagram to establish their brands. Needless to say, this has made Instagram, the 3rd most popular social media app. 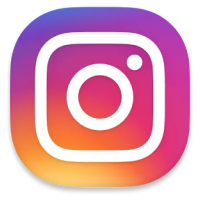 Instagram Plus is a customized version of Instagram, we will show you how you can install it on your iOS devices without Jailbreak. Even after achieving such massive success, the Instagram app lacks in a few fundamental features. These features would improve the experience of its users to a great extent if included. But that doesn’t seem to be the case as with every update of the app coming out, developers are not including these features in the updated version. Since Instagram Plus is not an official app, it is not available on the App store to download. Previously when jailbreaks were available, you could download Instagram++ via Cydia. But disappearing jailbreaks has made that option difficult. But still downloading Instagram++ in your phone is extremely easy which can be done by using third-party app installers. One such installer is AppValley ( About ). It can assist you to install Instagram++ In your device in a safe and easy manner. First, Download AppValley in your iPhone or iPad. After installing, open App Even on your device. Find Instagram++ [ext. link] using the search facility. Select the result that corresponds to your device and the iOS version you are currently running on your device. Apple doesn’t consider it valid to use installers and revokes the certificate which results in the app crashing. This can be prevented by installing tools that take care of this issue. One such tool is AntiRevoke. Click the link to find out more about how it works and how to download it. If you are a fan of Instagram already, Instagram++ will definitely make your journey more enjoyable. Follow us on Facebook for more updates.